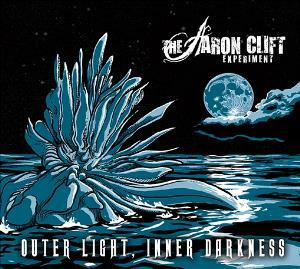 Aaron Clift is the central figure to The Aaron Clift Experiment, being the vocalist, keyboardist and main composer of the band’s music. Together with Eric Gutierrez (guitar), Devin North (bass) and Joe Resnick (drums) he’s been active since 2012 to make this project work. As their main influences, the band claim acts like Genesis,Dream Theater and King’s X, but also classical composer Johann Sebastian Bach and jazz legend John Coltrane. On this album the opening track Kissed by Death and Aoide, Goddess of Song stand out, while The Last Oasis is my favourite. Aoide, Goddes of Song opens with a piano piece that hints at something bigger following, and certainly develops into that, with interchanging lead roles for the guitar and keyboards. The Last Oasis, as said my favourite, is of slightly different nature, starting with only a string quartet. When the rest of the instruments join in, the band sort of delivers a symphony for string quartet, piano and rock band. These three tracks, together with the slightly too long Moonscape and the string quartet and band piece Bathed in Moonlight make this album worth listening, and probably buying as well. The downside here are three other tracks. Locked, Fragments of Sleep and to lesser extend Your Arms Hold Them To The Dark are leaning too much to the AOR side for me, and lack the nice compositional details of the tracks highlighted above. These are track two, three and four and if Your Arms… hadn’t shown a classical influence and a haunting opening melody to catch my attention, I would have given up on the album too soon. Now skipping over the tracks that I enjoy less make it a worthwhile expeirence. Recommended, but there’s room for future improvement for this band. Wonderful, Ian! Recommended listening for sure!